Quite often when you toss out the term “CRM” to large groups of small business owners, their eyes glaze over, and they get a questionable look on their face. What the heck is a CRM? 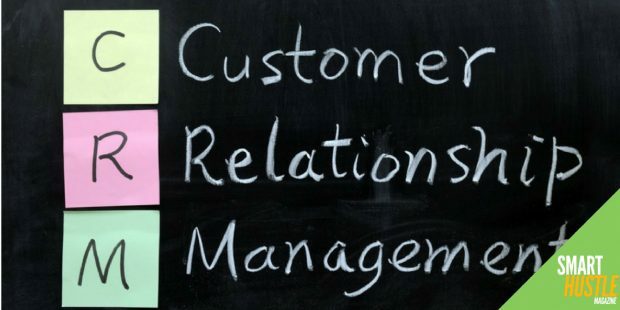 CRM, or Customer Relationship Management refers to the practice, strategies, and technologies that businesses use to manage their customer information and interactions. Infusionsoft is one of the technologies that many small businesses turn to as a CRM and at ICON17, their annual user and small business conference, they deliver informative sessions from Infusionsoft and industry experts. Topics they educate on include the sales pipeline, nurturing leads, boosting the customer experience, and how to manage it all using technology and automation. At the conference, I had the chance to chat with Dobbin Buck, the co-owner of GetuWired, an Infusionsoft partner and one of the best digital marketing agencies around. The GetuWired staff of 42 operates out of a cabin in the foothills of the Appalachian Mountains, and they recently ranked #13 in Entrepreneur Magazine’s 2017 Top Company Cultures list for small-sized companies. In the interview, Dobbin tackles the broad question of “What is a CRM?” The simple analogy he shares demonstrates that just about everyone already uses a base-level CRM and has their own database – so why not boost your capabilities and efficiency by taking it to the next level with a more advanced CRM system? The essential thing to start with when launching a new business. Why CRMs are not just for large and established businesses. The importance of systems and customer segmentation. Get your CRM 101 lesson plus these valuable words of wisdom by clicking PLAY above.